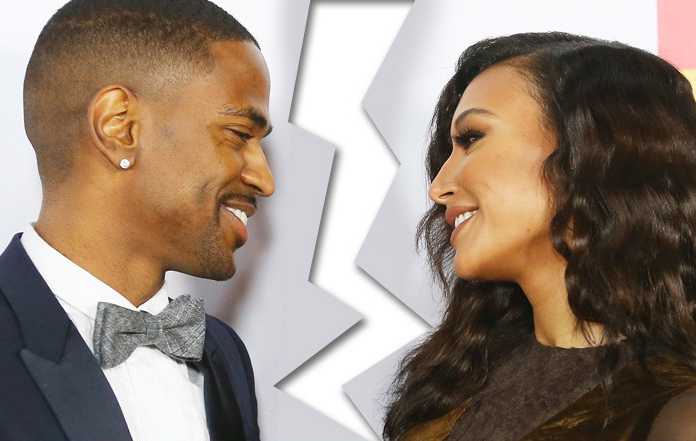 sources claim that Sean actually made the decision to call off the wedding weeks ago, due to Naya being too controlling and too jealous of the women he worked with and met on tour. 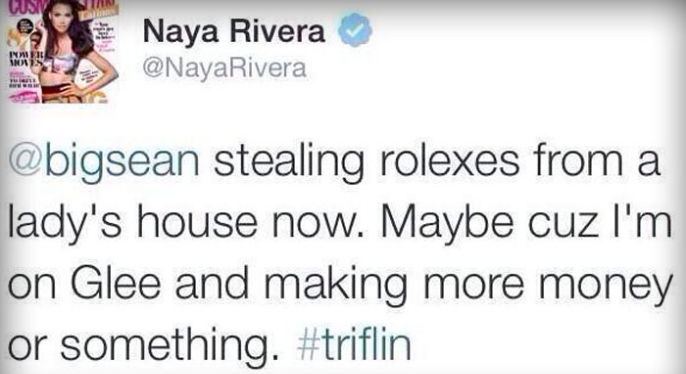 Santana tweeted on her Naya account about the whole situation stating that Big Sean is a Rolex stealer. 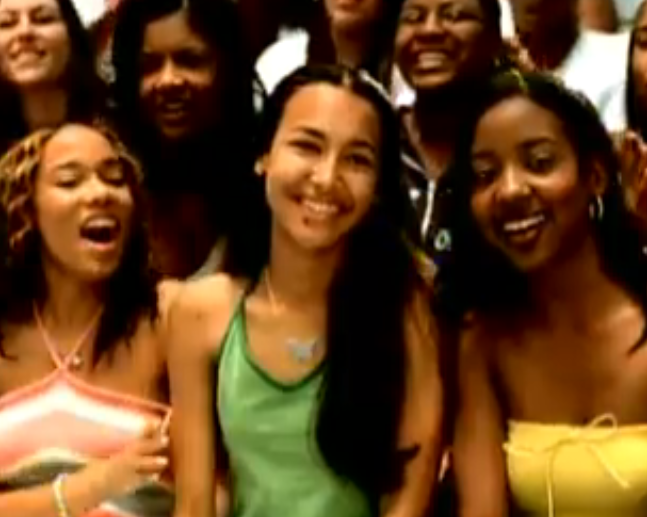 and if you’re heading towards her twitter just to see the tweet above, save your cursor mileage, because I already did and just like the mole on her chin during a music video with B2K in 2002, the tweet is gone! Ya I don’t get it either. Why tweet something so big, then delete it? 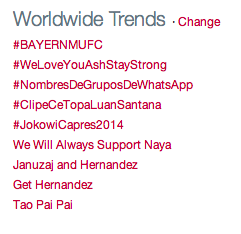 Especially right after We Will Always Support Naya trends? Did she think it trended because the last episode of Glee was Oscar worthy? Clearly she’s not over the recent breakup because according to her twitter feed, she’s currently listening to a break up song entitled “I Tried” by Brandy on her Afrodisiac album….When she starts listening to Destiny's Child that's when you need to worry!